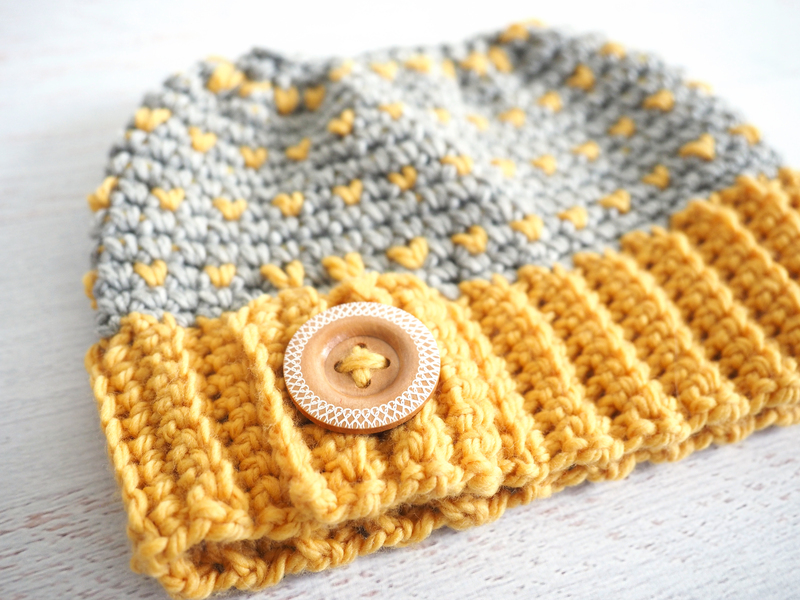 This fun yellow hat will be sure to brighten up any gloomy day – even though you can choose whichever color you’d like. People won’t be able to help but ask you where you go your cheerful headpiece from. In this easy to intermediate pattern, you’ll begin by creating the band. 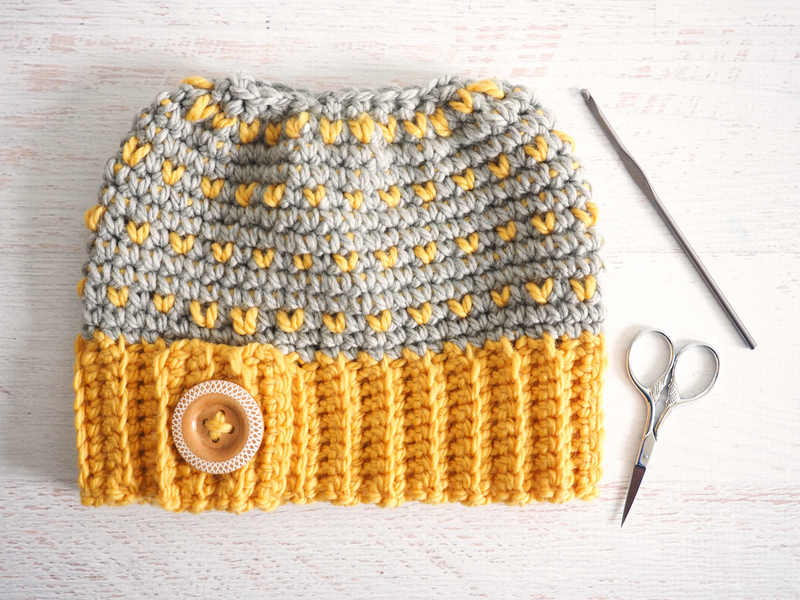 Next, you’ll work your way up to making the rest of the hat and finally add whatever button you may choose. For yarn, we chose merino wool because it’s warm, soft, and breathable. It doesn’t have any of that itchy and scratchy feeling you might associate with wool. Wear this versatile messy bun hat on a trip to the mountains or outside on a chilly morning walk. 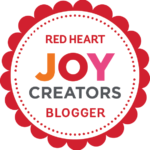 You might want to wear it everywhere, actually, and the good news is you don’t have to stop at making one. So grab your yarn and let’s get started. Time to add some cheer to the world, one stitch at a time. In round 1 of the beanie portion randomly place the 50 sc around the top as evenly spaced as you can. 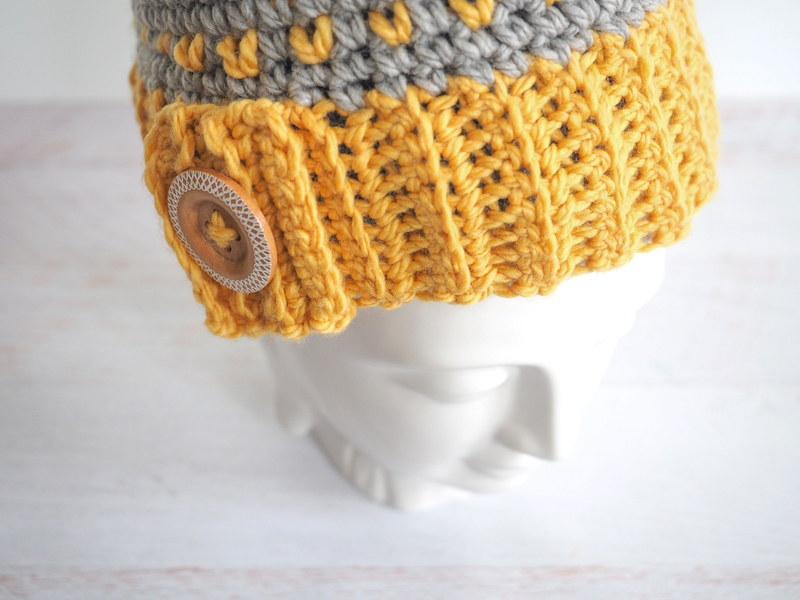 You will be working with 2 colors of yarn starting in round 3 of the beanie portion. I find it easiest to attach the second color by leaving a long tail and crocheting over it with the first color. I carry my second color of yarn on top of the previous row of stitches. Fold ¾ of the way, leaving 4 rows hanging out at the end. This part will be our flap where we place the button, sl/st into the 4th row from the end and down remaining 8 sts. Tie off yarn and break. After round 12, sl/st into the next st; tie off and cut both yarn strings but leave a tail of color B approx 45”. Turn hat inside out and work a running st in and out of each loop at the top. Pull string to tighten until there is an approx 3” hole at the top. Tie off yarn to secure hole. Turn hat right side out, using the tail of the yarn still, sc in approx every second st all around. 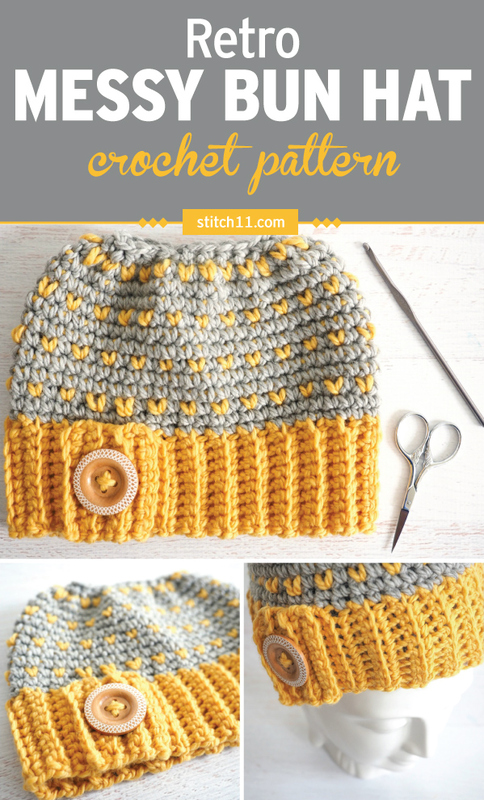 Tie off yarn, sew in ends and add a button to secure flap. You’ll definitely fight against the cold by feeling all warm and fuzzy from the compliments you’re bound to receive on this hat. Once you’ve got your hat finished, you can continue the cozy train by choosing a scarf to make. If you’ve got a beautiful end result – and of course you do – show it off! We’d love to see it.